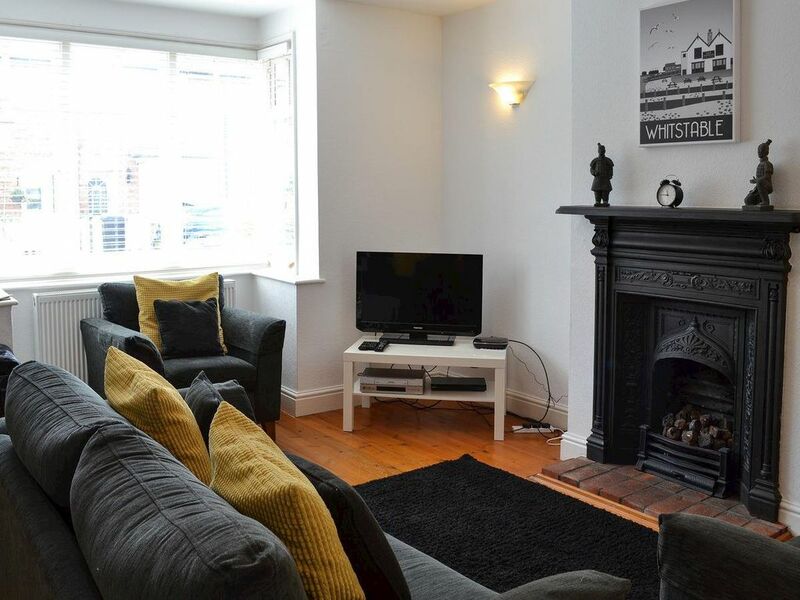 This terraced holiday cottage is a short walk from the beach and town centre, with its bohemian charm, independent gift shops, art galleries and delicatessens. Stroll along to the harbour where you can observe as the daily catch is landed. Whitstable is famous for its oysters which are celebrated in the Oyster Festival every July. Cycle the Crab and Winkle Way, local bike hire available, and explore the coast to Herne Bay and the sandy beaches beyond including Minnis Bay. Canterbury, with its cathedral, can be explored by boat along the River Stour, 8 miles. Shops, pubs and restaurants 200 yards. Ground floor: Living room. Dining room/kitchen. Utility room. Separate toilet. First floor: 2 bedrooms: 1 double, 1 twin. Bathroom with bath, shower attachment, shower cubicle and toilet. Gas coal-effect fire in living room included. Gas central heating, electricity, bed linen and towels included. Travel cot. High chair. Freeview TV. DVD. Electric cooker. Microwave. Washing machine. Dishwasher. Fridge/freezer. Wi-fi. Enclosed garden with terrace and furniture. Barbecue. On road parking. Welcome pack. No smoking. The stairs at this property are steep and the gaps between the spindles are 10cm. Enclosed garden. The cottage is very nice and very well equipped in a quite street. The garden is very nice, too. We enjoyed the week in Whitstable very much. 5 min to shops, beach, restaurant, pubs.